One of my favourite pastimes is paddling in the sea and enjoying the wind, waves and water at our local beaches. Several years ago a friend gave me a print of Tomahawk Beach which I’ve kept on my writing desk. 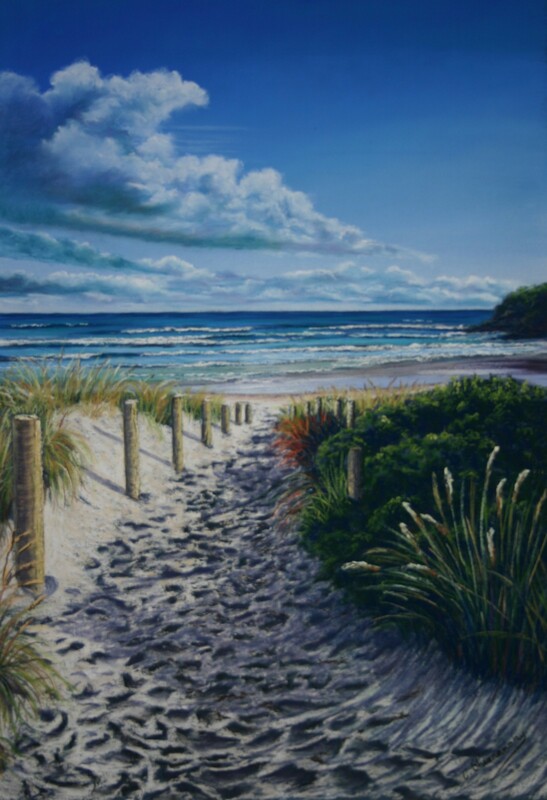 Whenever I get stuck for words I look at this print, transport myself there, and relax into my writing or, and this is probably more honest, I just walk away from my writing and head to the beach! The print above is the one I have sitting on my desk and Cathy Shemansky is the artist. I’m looking forward to meeting Cathy but until then……..
My first exhibition was in Brisbane in 1994. I gave a painting I couldn’t afford to frame to a colleague and she rewarded me by organizing an exhibition for me. Trouble was I had only about 10 paintings framed and lacked the money to frame a further 40 needed for the exhibition. My framer advanced me $3000 worth of framing. Fortunately I sold about 30 paintings and was able to pay him back immediately. I owe a huge debt to those two people. 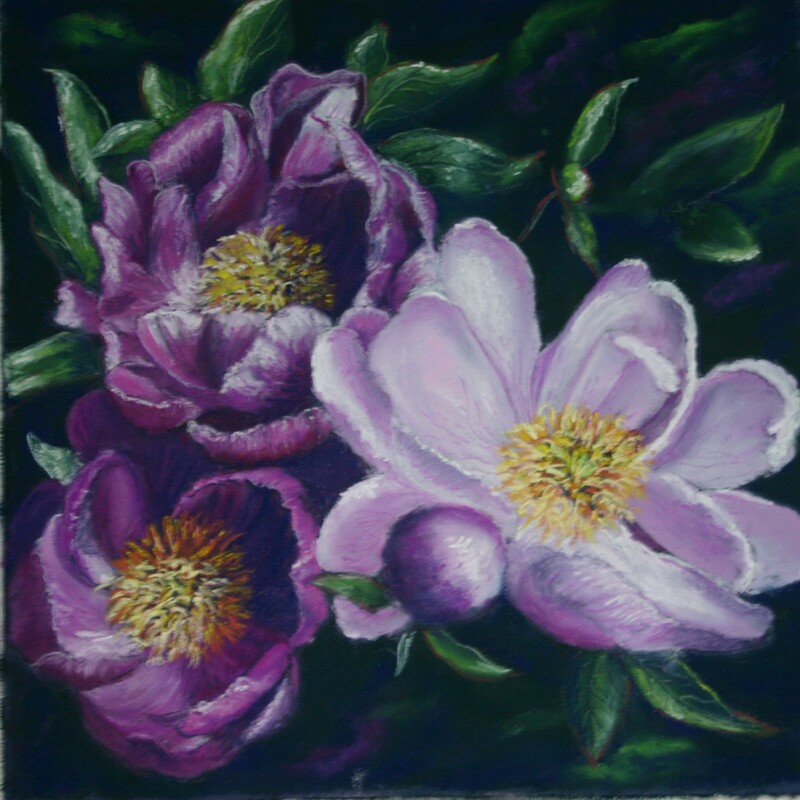 Painting in pastels is akin to my equal love, gardening. Both require a love of colour, both involve losing yourself in the task- a kind of meditation, both involve immense satisfaction in the finished work but the garden’s perfection is only fleeting unlike the painting. Some would say I am a realistic painter but I enhance reality bringing the light into a painting, creating an illusion of reality. Touch that water and your hand will not be wet. When I paint, I feel like I have stolen a little bit of the natural world and got to keep it. 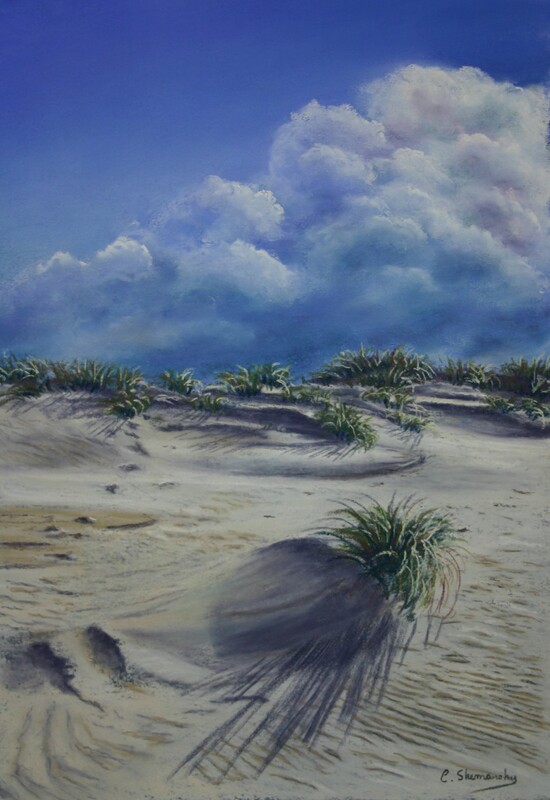 I make about half a living from my painting though I consider myself a professional artist but equally a businesswoman. A great deal of being a successful artist is about promotion and some is about luck. 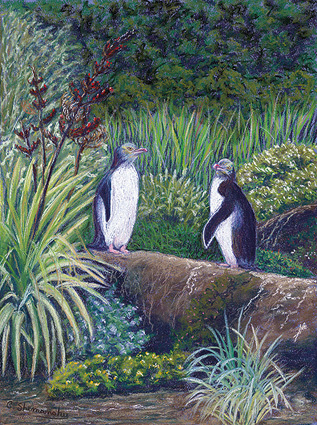 I maintain a steady flow of paintings for my gallery, Arts Content on Otago Peninsula. I am far from the dedicated and organized painter who works daily. I am a “binge” painter usually in winter because summer is full of a myriad of other activities. My husband and I run a B and B, we grow all our own vegetables and look after a large and beautiful garden. 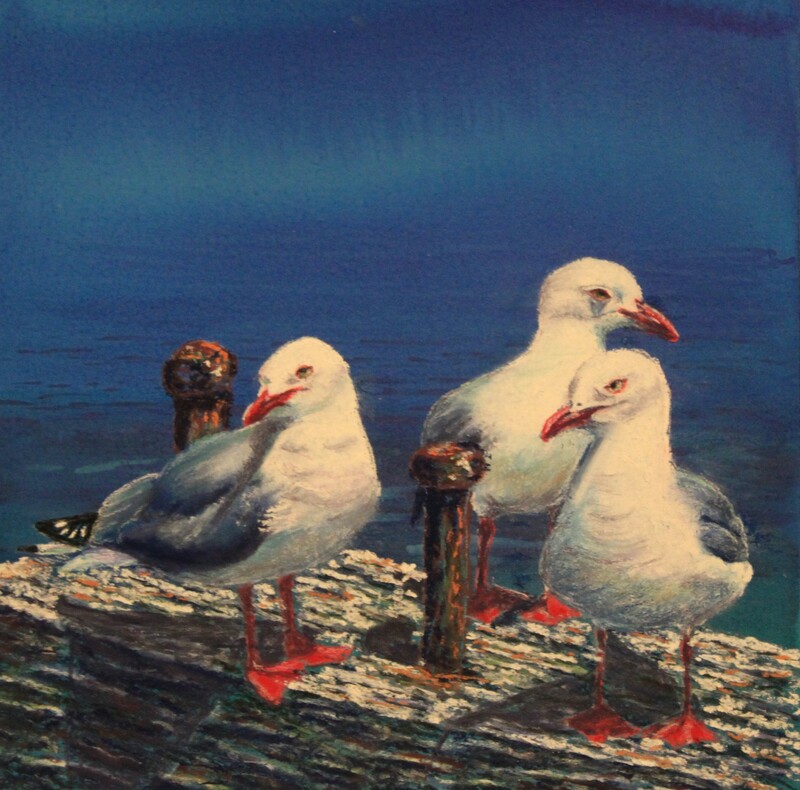 I am the Chairperson of the Peninsula Arts Group which organizes two exhibitions a year. I volunteer at the Otago Art Society in Dunedin and I love to tramp. So life is very busy but full of friends and flowers and opportunities. On my tombstone they can write. She was never bored! 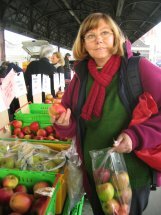 I spent many years painting at a market in Australia and I love to paint where there are people around to talk to. The feedback is important to me. Selling is also important to me. It is probably my greatest inspiration to paint, however, I paint what I love. Fortunately that seems often to be what others love as well. Because I do paint realistically I am rather tied to painting my immediate surroundings. I have travelled widely but seldom paint anything but the area where I live because this is what buyers of realistic paintings want, something they know. I prefer collaborative Exhibitions because they require only a small body of work at once. 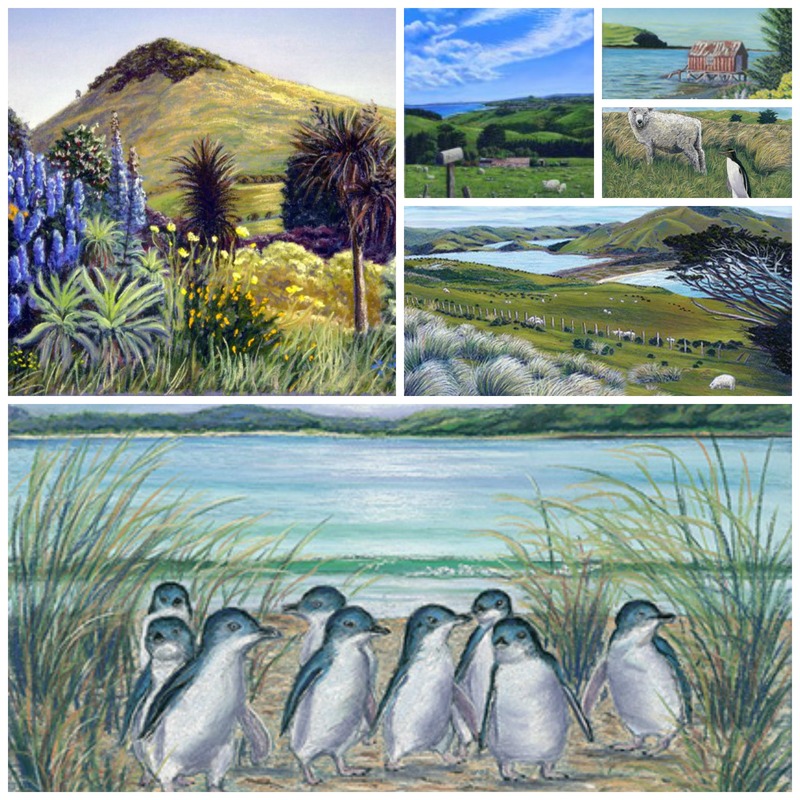 Apart from my initial exhibition when I first opened my Gallery on the Peninsula, I have not had another solo exhibition since moving here eight years ago. I have worked towards them but then I sell a few and I never seem to make it to the required 20 or so and by that time I am tired of the theme I have chosen. I have long admired and enjoyed Ruth’s Poems in the Waiting Room and I accepted the invitation to participate in The Bellamys at 5 Exhibition because as an artist it was a challenge, a bit like diving into still water when you don’t know how deep it is. As a businesswoman it was a promotional opportunity and as Cathy Shemansky I was honoured to be asked.